Shadow of the Ninja sequel on the way! We’re happy to announce that work is well underway for Shadow of the Ninja 2! After its awesome reception, I quickly dusted out the notebook of ideas which I had accumulated during development of the original SotN. As is the case with most creative endeavors, ideas get left behind on the cutting room floor for various reasons, but in the case of SotN, it often came down to my efforts to complete the project in a relatively reasonable amount of time. With the help of MaxGames.com, we now have the opportunity to revisit the world of Akane and her stealthy ninja ways. And this time around, we’re adding some neat visual and gameplay elements to the mix. A big “thank you” also goes to all the players who gave our little puzzle platformer a try. We hope you’ll check out the sequel, too! As a first glimpse, here is a look at the game title screen. 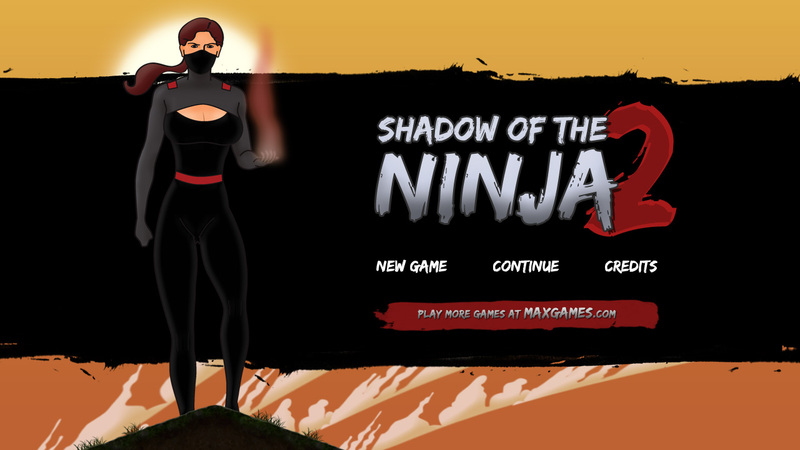 ← Shadow of the Ninja launches across the web!